Working in retail, I use my hands quite a bit and they tend to get quite dry. Also, I don't use gloves when I wash up or clean. This cream is ideal for me as it is incredibly thick and I mean it. It's so thick that you only need a pea sized blob to moisturise both hands thoroughly - any more and it won't sink in. Containing vitamin E, sweet almond oil and beeswax, your skin will be thanking you for using this. The scent of this cream is absolutely gorgeous. It's got a really rich, marzipan scent. It really lingers on the skin too, with people complimenting the scent an hour after I applied it! 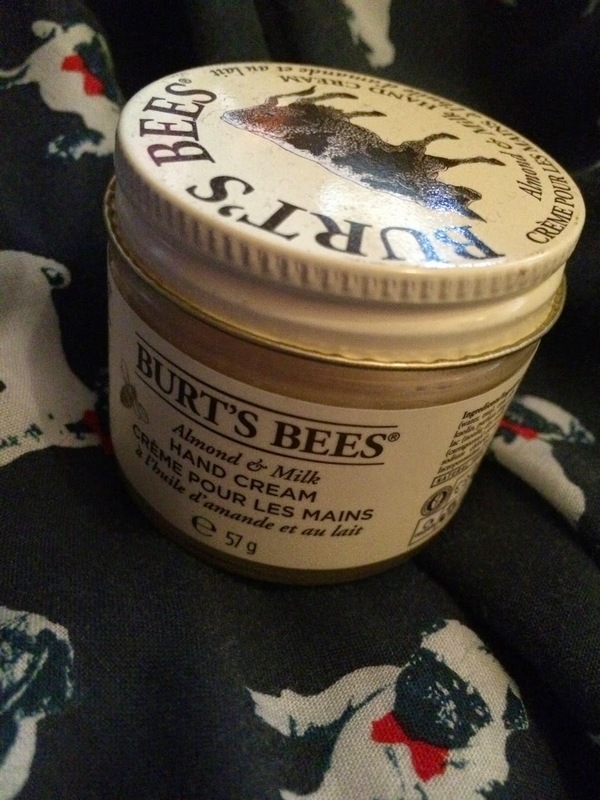 If you're looking for a heavy-duty hand cream to moisturise working hands then I would recommend this one to you. If the almond scent is not for you then they do a very similar cream in a banana scent.